A shake-up of the investment bank will see its three main chiefs report directly to CEO Jes Staley. The ploy could thwart pressure by investor Edward Bramson to scale back the unit. But the big boss is putting his own job on the line with a pledge to improve its mediocre returns. Chief executive officer of Barclays, Jes Staley, takes part in the Yahoo Finance All Markets Summit in New York, U.S., February 8, 2017. Barclays said on March 27 that the top boss of Barclays International and Barclays Bank Plc, Tim Throsby, had decided to leave as part of wider changes at the lender. The lender said its investment banking division would be managed as three distinct but connected units - Global Banking, Global Markets, and the Corporate Bank. 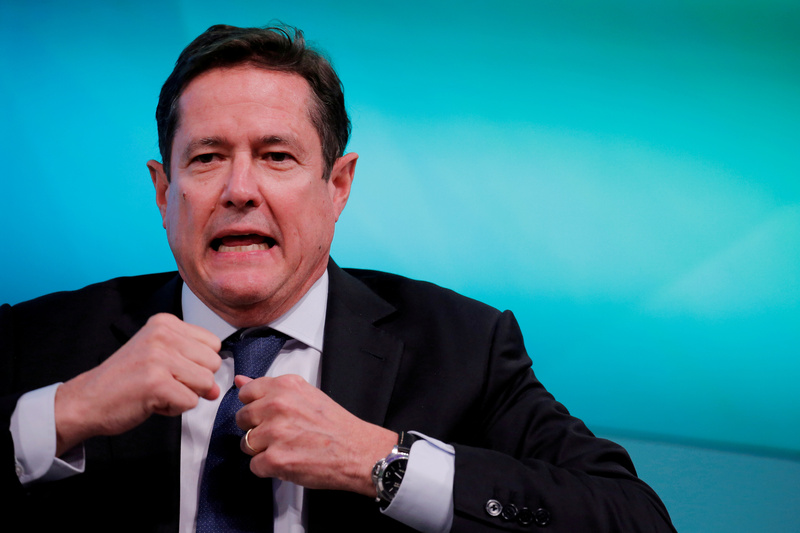 The head of each of the three units will report to Barclays Chief Executive Jes Staley. Ashok Vaswani, currently CEO of Barclays UK, will take on a newly-created group role of Global Head of Consumer Banking & Payments, and will report to Staley. Under the changes, Staley will assume the role of interim CEO of Barclays Bank Plc.